David Trueblood explores the links connecting baseball and Shakespeare with data and analysis. David Trueblood writes about the power of feedback and the role of the Donor Perception Report in bulding relationships with foundation donors. CEP Advisory Board Member Alicia Philipp weighs in on a research report focused on strategy at community foundations. 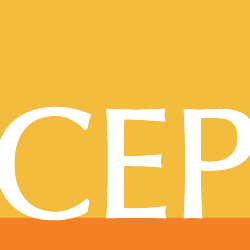 Leaders from philanthropy and the nonprofit sector have been invited to CEP from time to time to talk about a wide range of issues. Here, two staff members reflect on conversations with Beth Smith of the Hyams Foundation and Allen Grossman of Harvard Business School. In an Atlanta Journal-Constitution op ed, Phil Buchanan, Fay Twersky, and Valerie Threlfall argue for listening to students to find out what’s really going on in schools. David Trueblood reports on CEP’s visibility in coverage of the Gates Foundation 2010 annual report.